Anthony Lee, aged 22, from St Agnells Lane, was sentenced to six years and four months at St Albans Crown Court on Tuesday, November 20 after pleading guilty to 37 offences. Anthony Lee, just 22 years old has been quite a busy boy. Aged 22, from St Agnells Lane, was sentenced to six years and four months at St Albans Crown Court on Tuesday, November 20 after pleading guilty to 37 offences. His crimes included commercial and dwelling burglaries, motor vehicle crime, criminal damage and theft. They were committed across Hertfordshire, Bedfordshire, Essex and the Thames Valley area between June and August 2018 – with eight offences committed on the same day. 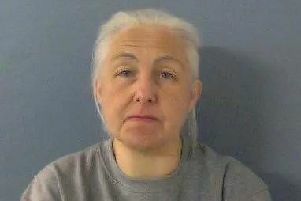 A prolific offender from Hemel Hempstead has been jailed in connection with a series of offences, committed across four counties over a two month period. Following enquiries, Lee was arrested in the West Midlands on August 19 following a pursuit by police. The investigation was progressed by the Constabulary’s Specialist Investigation Team and Lee was subsequently charged with Conspiracy to steal.